The Italian Ministry of Infrastructure and Transport will engage in infrastructure construction and development in Hanoi, specifically aviation, railway and sea route projects. 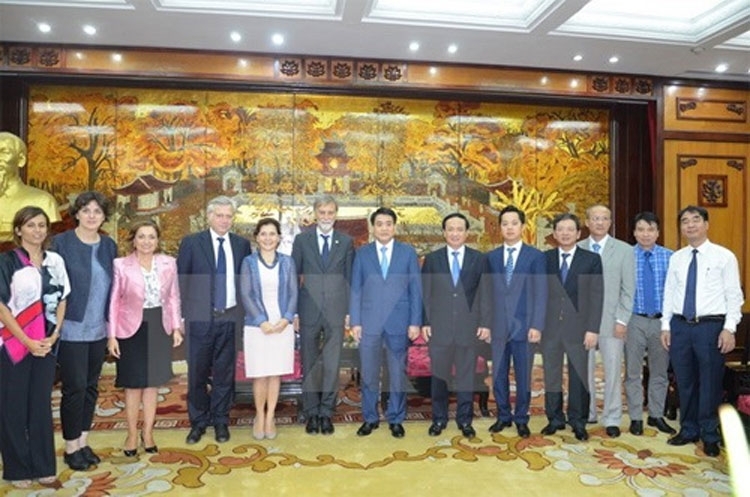 Minister Graziano Delrio made the remark at a working session with Chairman of Hanoi People’s Committee Nguyen Duc Chung in the capital on September 26. He said his ministry will serve as a bridge for Italian businesses to invest in Vietnam and Hanoi particularly, noting that Italy has an effective transport network, especially in the northern city of Milan, and provides technical support for other European countries. Italy is willing to work with Hanoi to build and improve its transport system, he confirmed. Chairman Chung said Hanoi is striving to accelerate the implementation of transport projects such as the Nhon-Hanoi Station elevated railway line, the railway connecting Yen Vien and Hanoi train stations. Construction will be started soon on the Nam Thang Long – Tran Hung Dao railway. The city is completing investment procedures to build six bridges across the Red (Hong) River, he added. 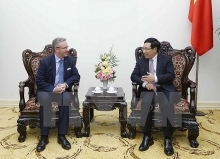 He said Hanoi hopes to receive technical and financial support from foreign businesses, including those from Italy, to build and upgrade infrastructure. The Chairman proposed Italy host more investment promotion workshops to help Hanoi forge links with Italian hi-tech firms to develop transport in the city. To fulfill socio-economic development goals in 2016-2021, Hanoi is concentrating on infrastructure investment, developing high-quality human resources, administrative reform, and improving the investment climate. Dealing with transport issues in an effective manner is a priority, he stressed.